I have a problem at work, what should I do? If you are a UNISON member then you should make contact with your local UNISON representative. If you do not know who this then you can find your rep here. If you are unable to contact your local rep or you don’t have one then you should contact the branch office or UNISON direct 08000 857 857. I have a problem at work but I am not a UNISON member. Then you will not be eligible for any advice, representation or legal assistance even if you join now. UNISON rule states that “the member must have been in membership of the union for at least 4 weeks prior to the member knowing that she/he had need of legal assistance and seeks legal assistance from the union”. I have a problem at work but I think my membership may have lapsed. See the above answer and you may not be eligible for any assistance if you are in arrears of contributions. I have just joined UNISON because I have a problem at work, am I entitled to help? In line with some of the above answers UNISON rule states that “the member must have been in membership of the union for at least 4 weeks prior to the member knowing that she/he had need of legal assistance and seeks legal assistance from the union”. My subscriptions have stopped and no one contacted me to say I am no longer paying. Now I have a problem, what do I do? It is a members responsibility to ensure that their subscriptions are paid at the correct level and in a timely manner. The branch do keep records of joiners and leavers and if you pay via your salary then there is also this record too. You may be able to pay the subscriptions that you missed in order to receive the full benefits of membership. Contact the branch for further advice. A lot can depend on the length of time that your subs have not been paid. If you pay deductions from your salary then you may be able to just contact payroll to ask for the subscriptions to be restarted. In some case you may need to complete a fresh membership form. Any legal assistance or representation is always given at UNISON’s discretion. UNISON does not look kindly on those who cancel their membership then wish to rejoin when they have a problem. A family member has a problem at work, can UNISON help as I am a member? 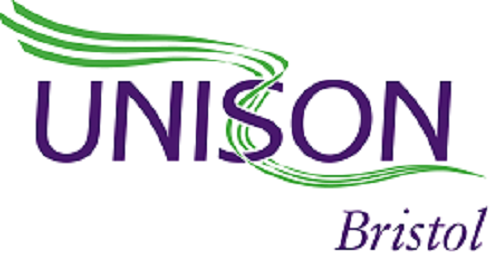 There are some services available to the family of a UNISON member. Please view the section entitled legal services under member benefits for more details. The services do however exclude employment advice and representation for work issues.